Only a Department of Transportation Operator Qualified Plumber (DOT Op Qual) can install, replace, or repair a member owned service line. Before you hire a plumber or contractor, make sure they are DOT Operator Qualified to install service lines. If you need assistance in finding a qualified plumber or contractor, the Service Line Installer Tab on the UTI website (UTI-Corp.com) can help you find a qualified installer in your area.  To complete the installation process, your contractor must complete a yellow “National Gas & Oil Cooperative Operator Qualification Card” as well as “The Energy Cooperative Service Line – Materials” Form (Form included in the Gas Line Installation Packet below). Both forms must be completed and either attached to the meter set or returned to The Energy Cooperative before we can test your lines and turn on your gas service. Contact our member service department for assistance or additional information?